THE Sunday Post is looking for a news reporter to join its award-winning team. 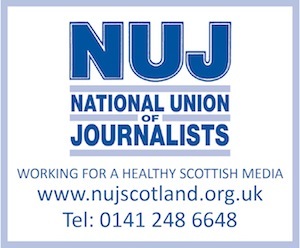 The successful candidate will join a title crowned Newspaper of the Year at the recent Scottish Press Awards. We also won the scoop of the year, front page of the year, reporter of the year and journalist of the year categories. Based at our offices in Glasgow’s Skypark, you will be tasked with bringing in stories that set the news agenda in Scotland. So if you can sniff out a scoop, ask probing questions, and persuade people to talk to you, then you are the ideal candidate for this job. You should also be a full-qualified senior reporter with experience at a national or regional daily/Sunday title, have 100wpm shorthand, a bucket load of contacts, and a full driving licence. To apply for this role, please follow our online application process and submit a CV and cover letter. This is a full-time, permanent position, working 35 hours per week, working from our Glasgow office. We offer a generous package including 34 days holiday, health cash plan, childcare vouchers, excellent pension, a competitive salary, and many more staff discounts and benefits.